Posted June 25th, 2014 by Julian Westaby. Why would someone who is, quite literally, at the top of his or her game, resort to biting an opponent to edge ahead in a competitive situation? Is it because of greed, a faulty value system, ego, one’s past or the pressure of the competition? How often do we hear the Darwinian mindset of “survival of the fittest” quoted when we see incidents such as Suarez biting his Italian opposition Giorgio Chiellini? Do world-class athletes believe they deserve to be at the top and Darwin’s theory justifies all sorts of underhand tactics to claw the way to victory? I have to ask does Suarez go as far as consciously considering the payoff for cheating; winning and getting all the proceeds and accolades that go with the championship? The fact that this is not his first offence appears to demonstrate that he isn’t consumed with shame on a conscious or subconscious level and doesn’t take on board that the “win-at-any-cost” mind-set is both destructive and extremely dysfunctional. In reality shame is a toxic emotion however you need to understand your feelings to realise this. Suarez’s temperament doesn’t seem to allow him to connect his actions on the pitch to any long term consequences and his behaviour clearly shows he has an inability to control or self-regulate his responses in the heat of a high pressure football match. Uruguay manager Oscar Tabarez claimed this was nothing more than a conspiracy against Suarez led by the British media. 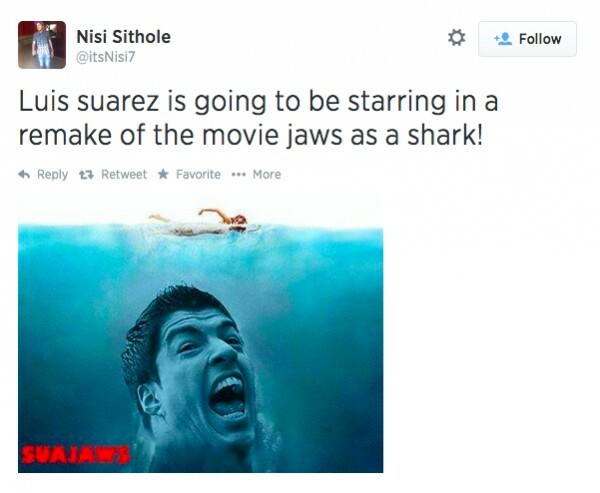 However, the power of video and play back has enabled social media to circulate to the world the images that tell the story of possibly third time unlucky for Suarez. 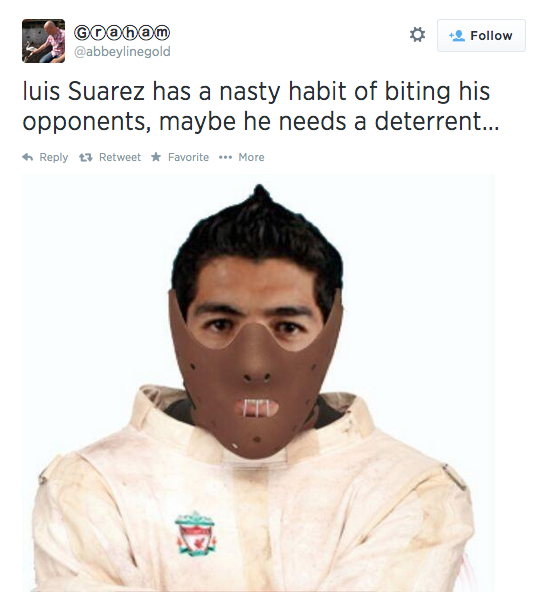 The player has been vilified on Twitter likening him to Hannibal Lecter and a rabid dog. The comparisons may well be justified and Suarez has been given far more chances than many dogs that bite. It is up to Fifa to decide how to proceed and they have opened disciplinary proceedings. They have scope to suspend a player for a maximum of 24 matches – which, technically, can include club games but in practice tends to be only internationals. Yet the incident could still have an impact on the player’s future at domestic level. Suarez may now be remembered for his biting antics at 2014 World Cup rather than his supreme footballing ability, ultimately relegating his status from one of the world’s most prized footballers to a prospect more than any team cares to chew.